Are you a collector? Have you ever collected something and feel so passionate about it that if you miss something from that collection you feel like the world is not complete and then you go on a mad hunt to find that particular missing piece to complete the collection. Well, that is exactly how I was feeling before I uploaded this blog post. Here's the thing. I have been very good about sharing my collective favorites on this blog, but due to multitude of reasons, I missed posting favorites from July-September. It bugged me to see the broken link, the missing post from a series. So I figured I would just give finishing touches to the already drafted article and just upload it rather than feeling miserable about it. So whatever you read from here on is written three months back. 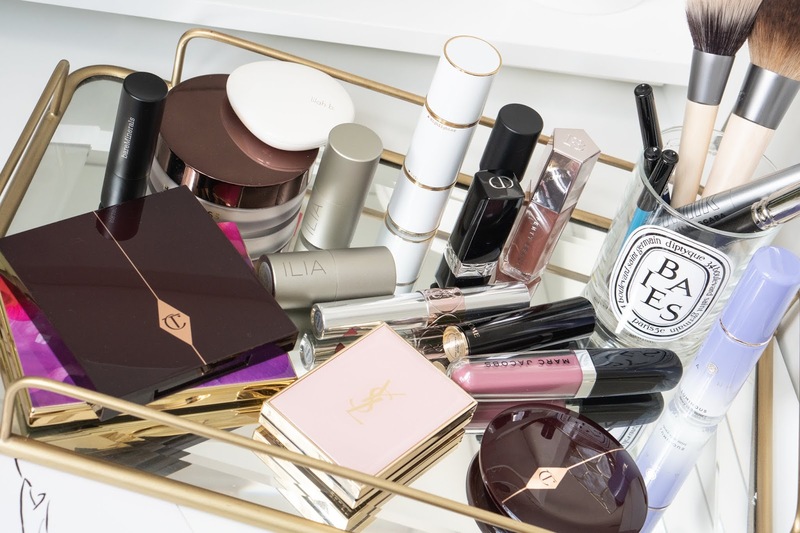 The Summer Edit was pretty much a well curated list of Beauty Products that I basically used all summer along, some more than others. 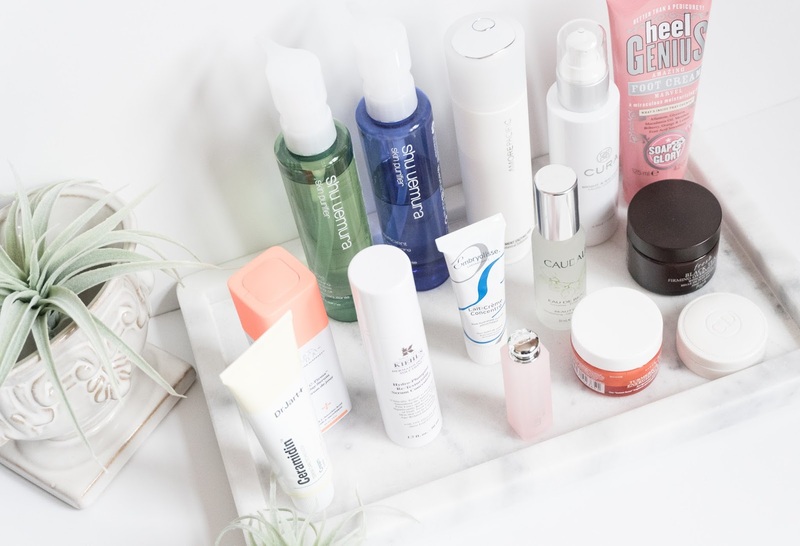 So this post is more about the list of skincare products that helped my skin recover, that was not in its best shape this summer. As much as I (Chicago resident) love the very precious summer months, my hyper-pigmentation prone skin does not. 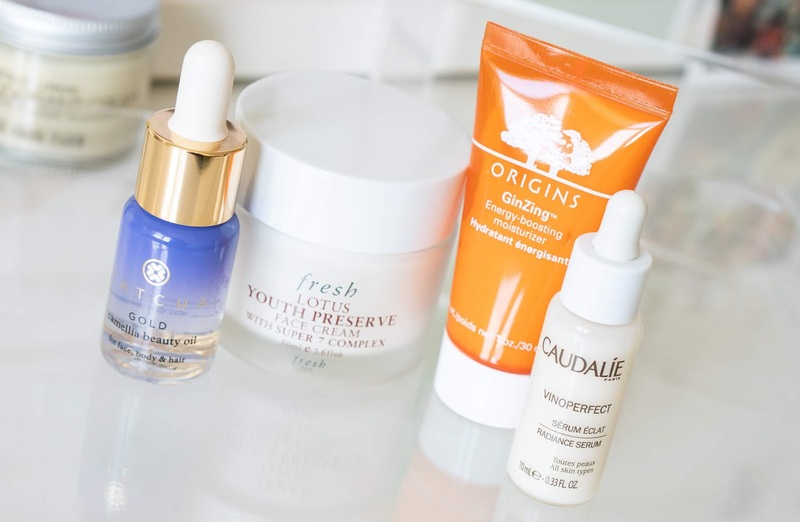 Caudalie Vinoperfect Radiance serum has been a holy grail product since 2012 and I have mentioned it so many times on my blog, that the repetition has become borderline annoying. The serum helps a lot with my uneven patchiness caused by the harsh summer sun. It brightens and evens out the skintone very effectively. Very gentle on the skin and works on every single skin type. 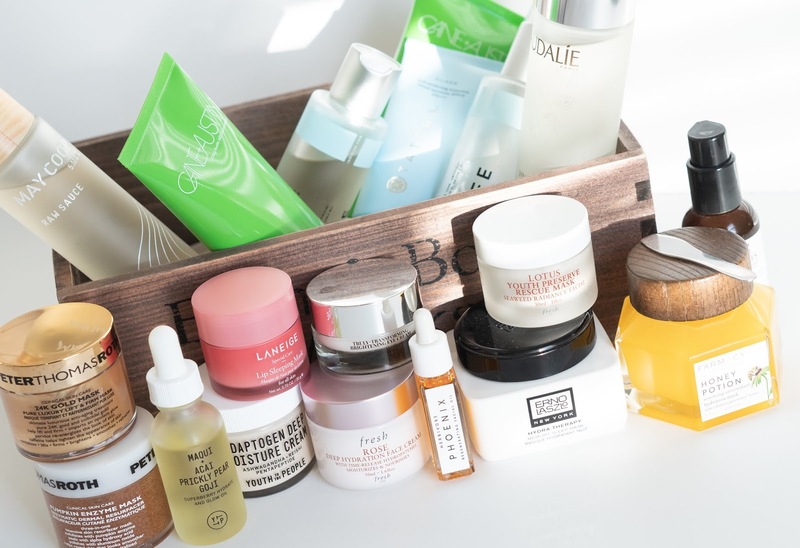 I have pretty dry skin and usually need a heavy duty face cream or moisturizer, but for summer I consciously choose something light weight, yet moisturizing. Also, layering a heavy moisturizer with my current sunscreen can make the skin look very greasy. FRESH Lotus Youth Preserve Moisturizer is a good day cream. It moisturizer and protects, without being too heavy or greasy. It is a perfect fit for my liking. Another good one that I really enjoyed using was the Origins GinZing Energy-Boosting Moisturizer. A light weight, hydrating moisturizer with fresh, cheerful scent. 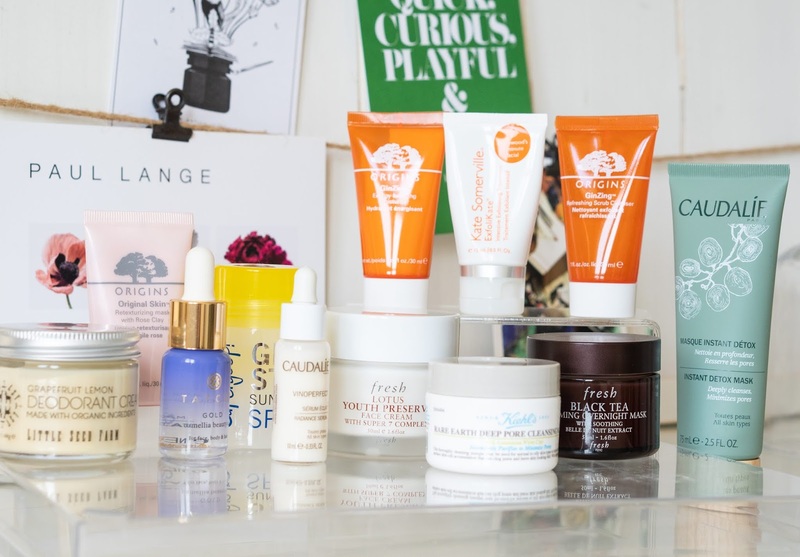 My skincare routine feels incomplete without the use of facial oil. 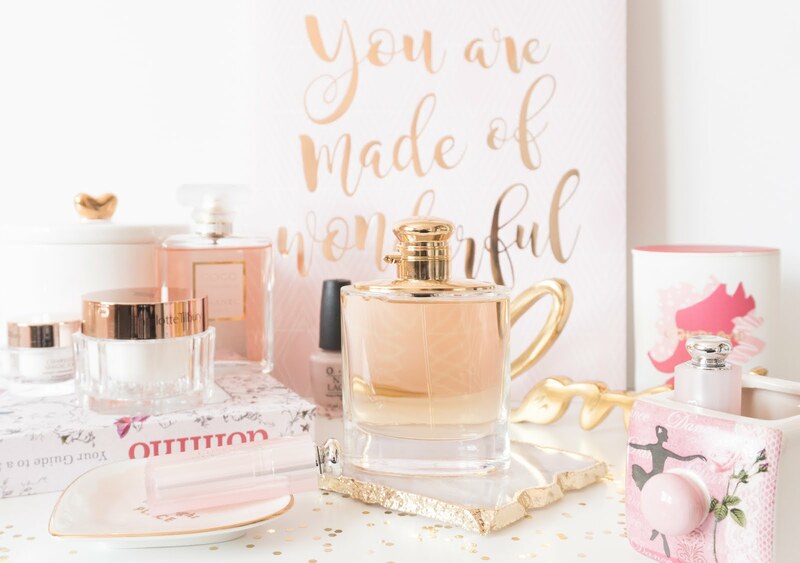 I have absolutely no aversion to slathering heavy oils on my face, but in summers a light weight oil like the TATCHA Gold Camellia Beauty Oil is a perfect choice for summer nights. It helps the skin from drying when the Air Conditioner is kept on at its coldest! 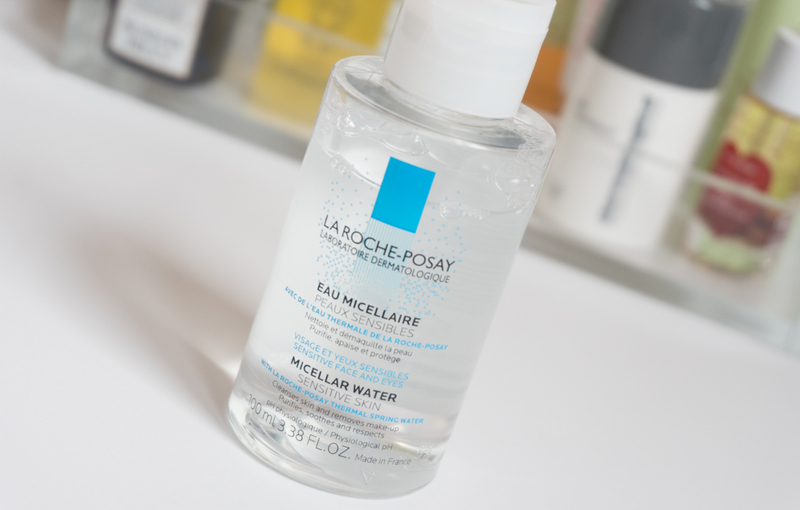 It adds an extra layer of moisture and seals everything in without feeling overly greasy. I love an occasional good scrub for my face and a good old physical exfoliator works just perfect. Apart from my holy grail Laura Mercier Face Polish, KATE SOMERVILLE ExfoliKate® Intensive Exfoliating Treatment is a fantastic one. It has a warm effect on the skin and deep cleans the pores, leaving a smooth, soft, glowing skin. I use it once or twice a week at night, just so that my skin does not gets used to it. Follow it with a good oil at night and my skin is as good as new the next day! 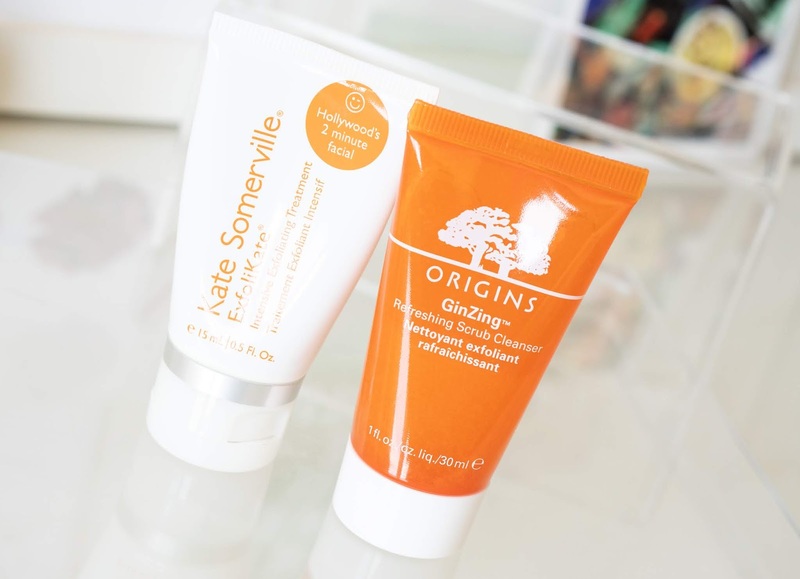 For frequent use, Origins GINZING™ Refreshing Scrub Cleanser is a lovely one. This product is 2-in-1 It cleanses as well as exfoliates very gently. The granules are not at all abrasive and are dispersed lightly. I used it every alternate days in the morning. The packaging has changed now. This one was picked from the Cosmetic Company Outlet, hence the old packaging. I have two drawers full of various face masks and a basket full of sheet masks. It is one of those pampering part of any skincare routine. I use most of them in rotation and as per the skin requirement. 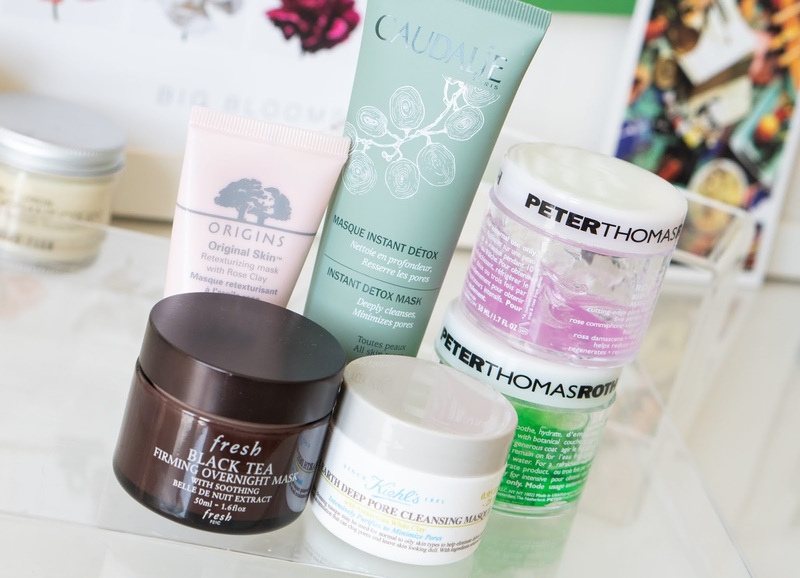 Summers saw my skin go through some major breakouts. I assume probable reaction to some new skincare that I was trying. I chose Caudalie Instant Detox Mask and Kiehl's Rare Earth Deep Pore Cleansing Masque, both clay based masks to deep cleanse the skin and minimize the appearance of pores. It helped the skin by controlling the oils and anything that was causing the breakouts. The Origins ORIGINAL SKIN™ Re-texturizing Mask with Rose Clay helped with reducing the bumpy texture and evening out the skin. Peter Thomas Roth face masks are one of my absolute favorites. They usually have something for every single skin condition. I picked the Cucumber Gel Mask Extreme Detoxifying Hydrator and Rose Stem Cell Bio-Repair Gel Mask to reduce the inflammation and soothe the skin. These masks are light weight and they help in calming and repairing the broken skin. The gel texture is pretty cooling on the skin. 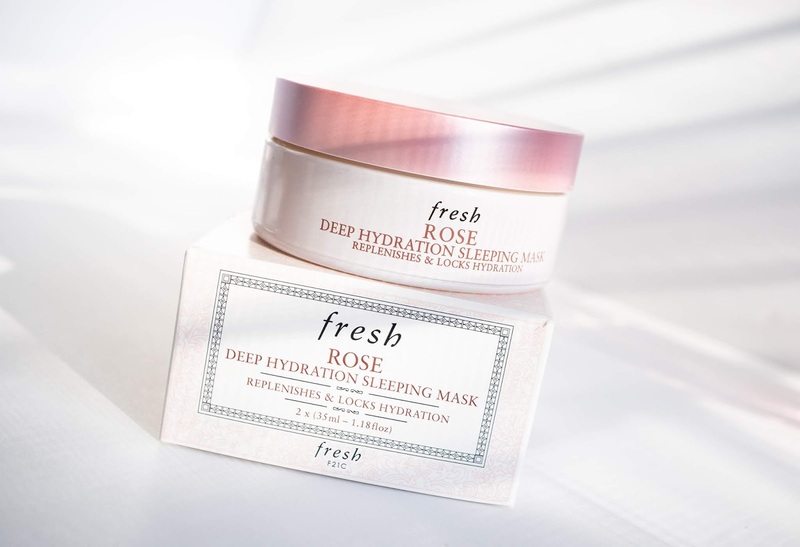 Lastly, FRESH Black Tea Firming Overnight Mask is one perfect hydrating mask for dry skin. This over night mask visibly smooths the skin and evens out the skin texture. It is very moisturizing, without being heavy or clogging any pores. Perfect in summers for dry skin. Sunscreen is just not a summer thing. It is an all year thing but somehow I get very regular with its use in summer. My favorite is the Kiehl's Super Fluid Daily Sunscreen but the SUPERGOOP! Glow Stick Sunscreen SPF 50 stick was a new discovery. It is a unique product. 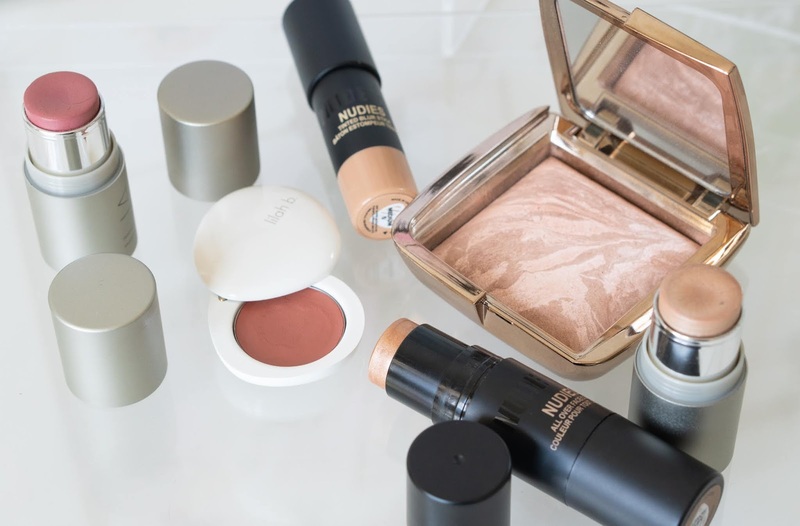 It is like highlighter for the face but with SPF. 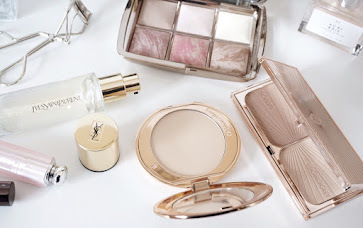 Loved this for touch ups during the day, on high points of the face. It did not leave any white cast and could be be applied on top of makeup too. Over application made me look like a grease ball so I didn't use it all over the face. but didn't mind using it on the back and neck. It contains oil blends and so has to be worked into the skin properly. Very little amount is needed. The portable packaging was very convenient to travel with. I had it in my backpack the whole trip. 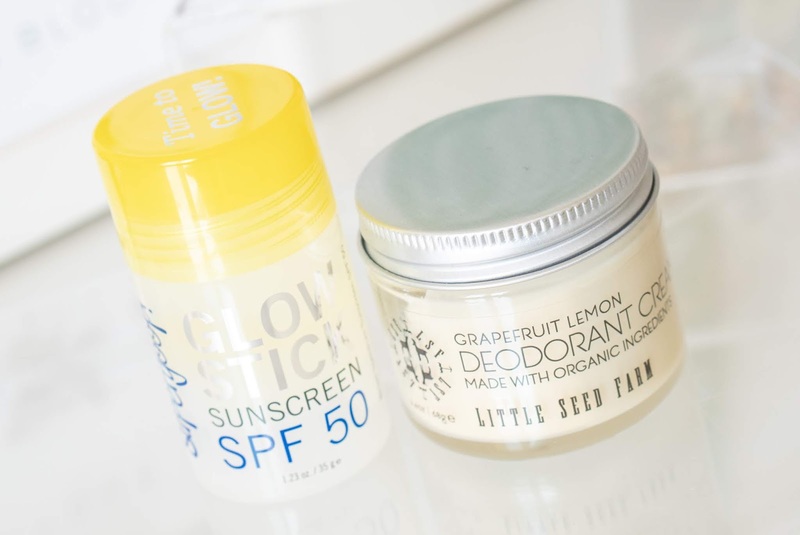 Little Seed Farm brand sent me their solid deodorant cream to use and while this concept was new, it was a super hit one. The thick formula was easy to spread and was not sticky at all. Did not transfer on to the clothes and smelt good. It was a new, but fun experience for me as I had never used anything like this before. 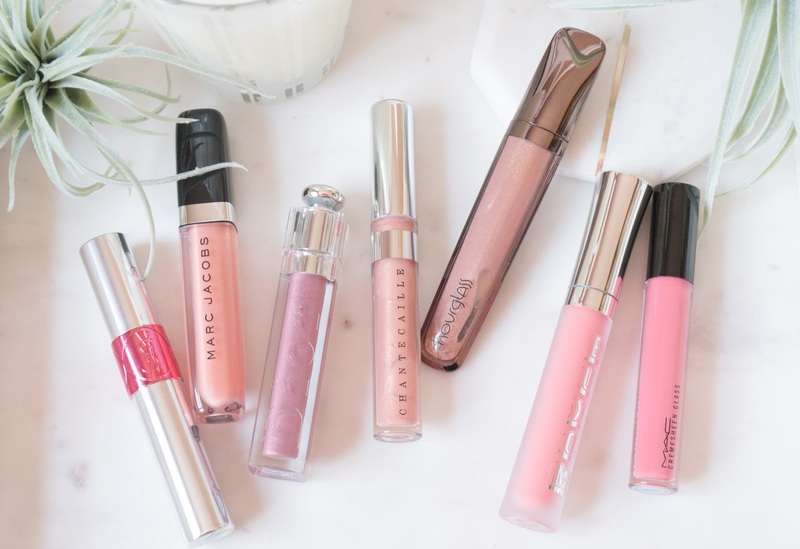 Tinted Lip products are my go to lip products for the summers. Dior Lip Glow is my favorite of all the tinted lip lip balms available. It does not peel my lips and moisturizes them very nicely. The tint that these impart are very classy and not kiddish, lollipop red. Kaplan MD Perfect Pout Lipstick in Sunset was a new color that I got obsessed with in the summer. This plumping lipstick had a good SPF 30 with Peptides and Hyaluronic Spheres along with other patented ingredients. I simply enjoyed the color. 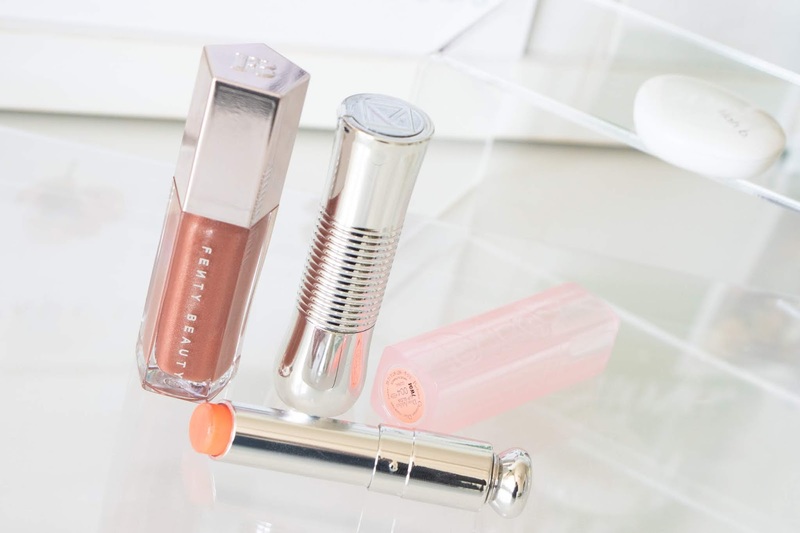 The Fenty Beauty Gloss Bomb was the new one for the season. Lovely gloss with lovely formula. Not a unique product by any means but has cute packaging and delicious scent. 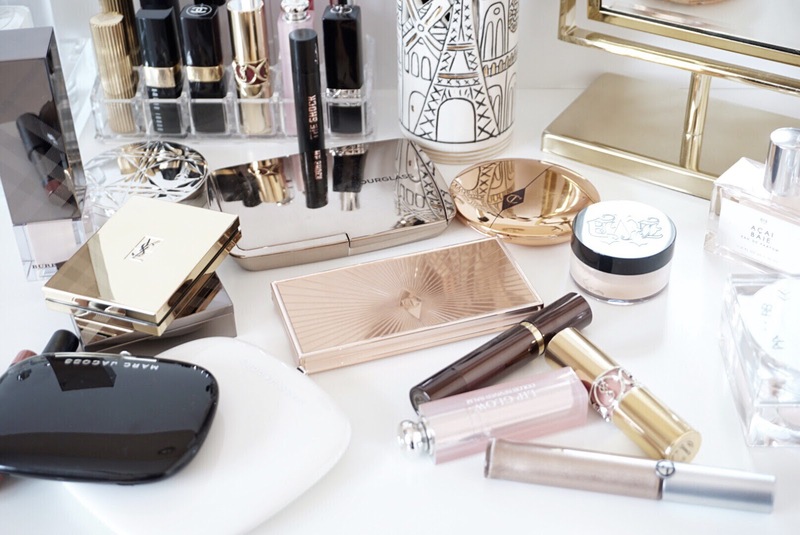 Hourglass Ambient Lighting Bronzer in Luminous Bronze comes out every summer from the vanity drawer to make me look good. It is a shimmery bronzer, but the shade is exactly what my skin would look like if it tanned evenly. Just the real sun kissed glow. It is an all time favorite. Period. 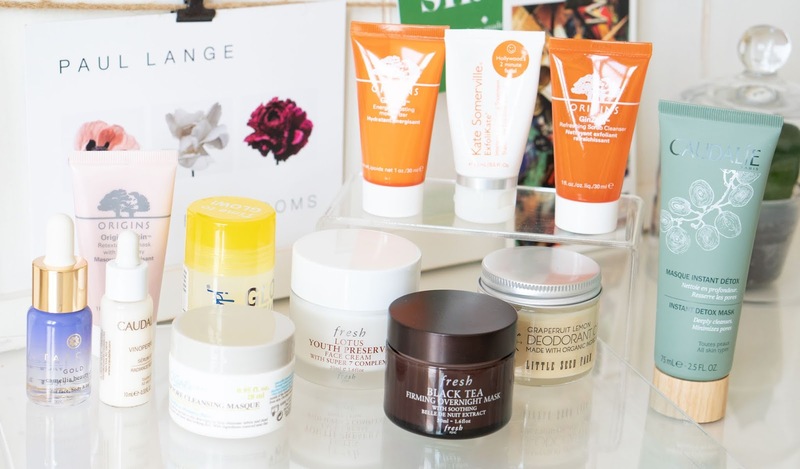 I had picked a few new cream products during Spring and I fell in love with them. ILIA multi-stick, a lip and cheek product in shade At Last and ILIA Illuminator in the shade Cosmic Dancer are excellent. The formula is lovely. The highlighter specially has the most unique shade and formula. It is neither too champagne nor yellow gold. Something in between. Looks very natural on the skin. It has micro shimmers, that just gives the most beautiful, dewy sheen on the skin. The base for the shimmers itself is pretty transparent. The LILAH B.brand caught my eye due to its unique, pebble shaped packaging that is made of heavy ceramic. Their Divine Duo™ Lip & Cheek, a multi-purpose product is the most popular one and the shade b. lovely is a wonderful, long wearing product with matte finish. It is easy to blend and looks very natural. I found myself reaching for these two brand a lot during the summer. NUDESTIX Nudies All Over Face Color Bronze + Glow is my favorite glow product for summer. I love the shade Hey!Honey a lot. It gives the most lit from within glow on the face. The sheen is subtle but visible. It is not the easiest product to blend due to its slightly tacky formula. The tacky nature helps the product stay put on the skin a lot longer than other similar products that I have and it is pretty good feature to have in summers, where everything just melts due to the heat. Nudestix Tinted Blur Stick was another discovery in Summer. It is neither a primer, nor foundation nor concealer, but it does help to even out the skintone without being heavy or patchy. It is a tinted blur stick, but it does not blurs any pores. Quite a unique formula, that is soft, creamy and easy to blend. The product deserves a whole review post of its own.